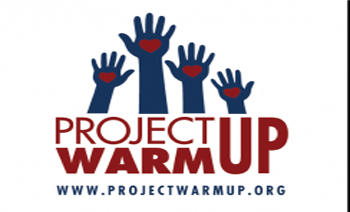 Project Warm-Up was started in 2006 by Kaitlin and Tracy Vik as a service project for the Key Club at Lincoln High School. That first year, 100 blankets were made in one afternoon. Each year, more schools, groups, and teams have gotten together to make blankets and the project has grown substantially!